All the best juice in the world comes from Detroit, right? 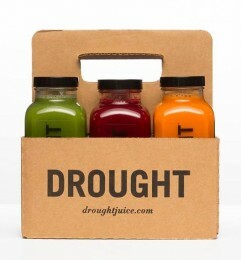 Drought juice is raw, cold-pressd, and, as luck would have it, supremely delicious. Also run by five sisters who you should say hi to at Pop Up Flea.